Wind turbines convert kinetic energy in the wind to electrical power. As air moves over an airfoil, it creates a pressure differential, with higher pressure on the underside of the foil and lower pressure on the front side. This causes the wind turbine blades to rotate, and subsequently the rotation of the generator, creating power. There are several types of wind turbines; for STIKopedia, we will focus on the small-scale, horizontal-axis variety that Solar Stik uses. A wind turbine should not be connected directly to a load; instead, electricity generated by the wind turbine should be stored in a battery, and the load draws power from the battery. As with any power generation source, it’s best to match a wind turbine’s capabilities to the application. Wind turbines are rated based on maximum power outputs; therefore, a 400 W wind turbine has a maximum power output of 400 W. All wind turbines have a specific wind speed required to begin generating power, and some are as low as 6 mph (9.7 kph). 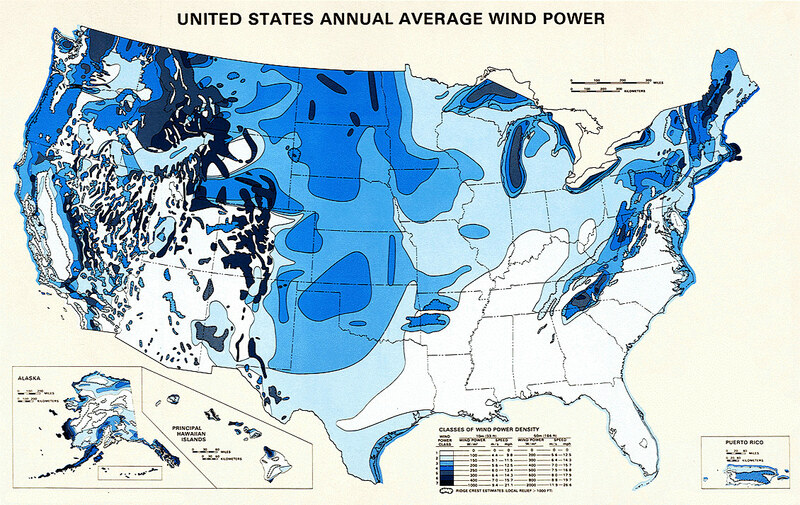 Consult a map of average yearly wind speeds such as the one below for this information. Wind presence depends on environmental conditions and geographic location. Because having constant wind at consistent speeds is not guaranteed, it’s best to use wind turbines as a supplement to other power generation options. In a hot, dry climate, using a wind turbine in combination with solar PV panels yields about 10 to 20% of total power generation to come from wind. By contrast, using the same setup in a colder climate with cloudier conditions, wind power can deliver 20 to 50% of total power generation. Why is this true? 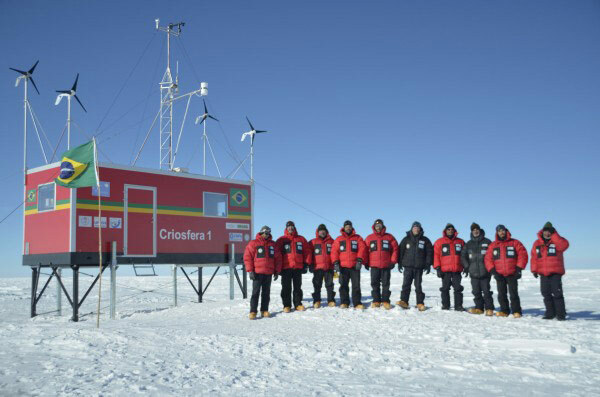 Wind turbines are more efficient in colder climates. Cold air is more dense (“heavy”) than warm air. The kinetic energy of a moving object is proportional to its mass. So the “heavier” the air, the more energy that is received by the turbine, thus creating more power. Average wind speeds in most geographic locations are higher during the winter months. Colder air combined with higher wind speeds provides for greater power generation outputs for wind turbines. Power output curves for wind turbines are not linear; as wind speeds increase, wattage output doesn’t increase proportionally. 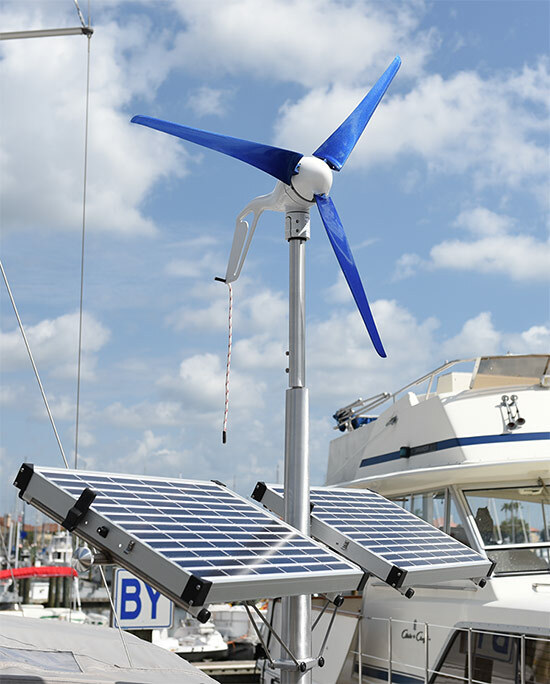 Instead, wind turbine power output is cubic and is capped based on the turbine’s rated output and cut-out speeds. According to Betz’s law, no turbine can capture more than 16/27 (59.3%) of the kinetic energy in wind. Betz’s Law was established in 1919 by Albert Betz, a German physicist. 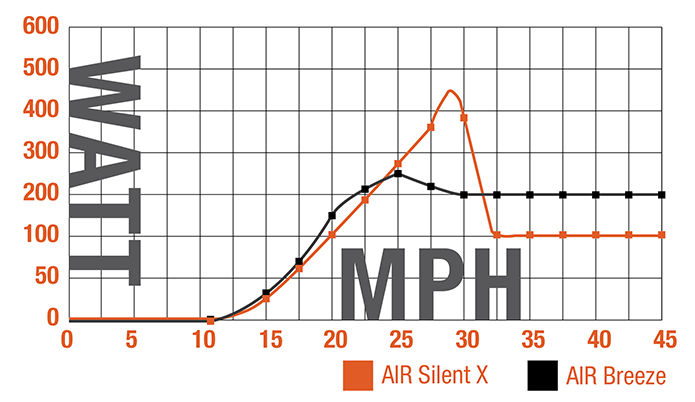 The precision of airflow over the blades also affects the level of blade noise and vibration. For as little noise and vibration as possible, the distance between the blade tips should be the same. This is achieved by measuring and tweaking the blade positions so that they are perfectly equidistant from both the hub and adjacent blade tips. It’s difficult to determine an exact number of years a small-scale wind turbine will last because operational capacity is highly dependent on maintenance, replacement of broken or worn parts, and environmental conditions. The overall cost of a wind turbine includes the initial purchase price and the replacement of worn parts over time. 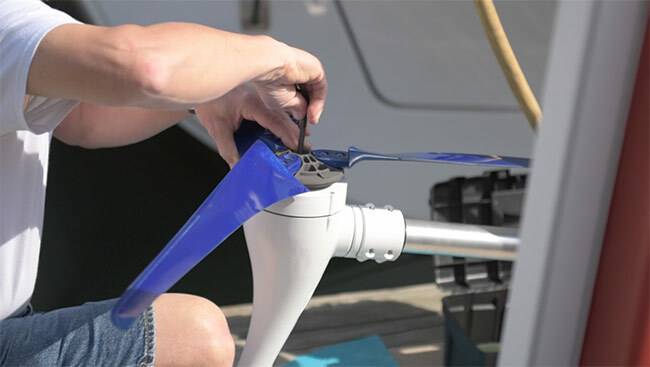 If routinely maintained—checking blades for chips/nicks and replacing them if damaged, keeping electrical connectors free of corrosion, and making sure the tower remains plumb—the turbine should last for five years. Blades should be replaced every five years, and after seven years additional replacement of worn parts should be expected. Some estimates indicate that if properly maintained, a wind turbine can generate power for more than eight years.